They say black never goes out of fashion and in all my years growing up I have to agree. Black isn't a colour I wear a lot but I especially like to wear it for work and going out. 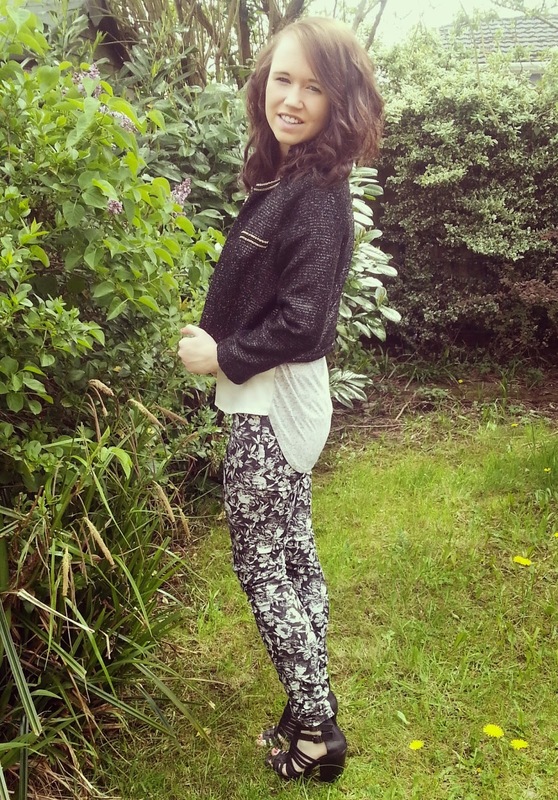 Patterned jeans are my favourite this spring and I found these black floral ones for just £8 at H&M! 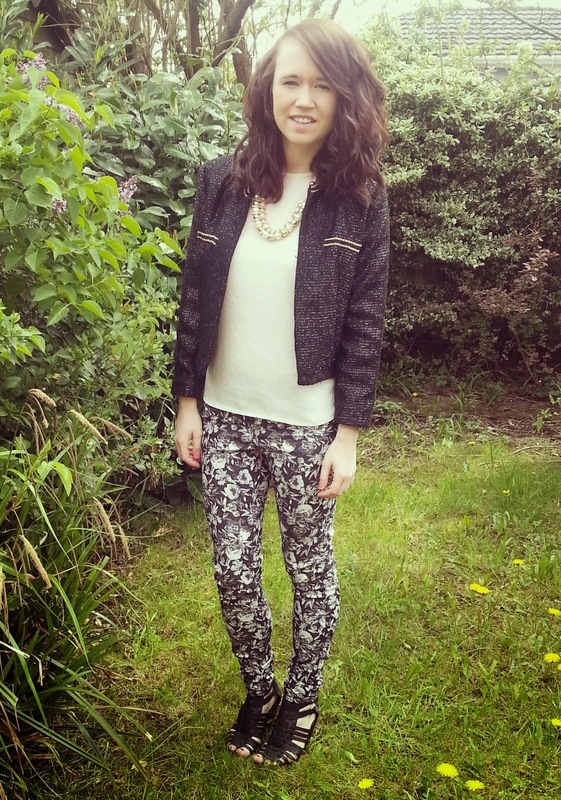 I also got this beaut black shiny boucle jacket from eBay for just £7 but it is originally from Forever 21 for £22.99. I'm always on the hunt for a bargain! I styled this outfit with my Primark high low blouse, New Look black caged heels and beaded necklace. Do you prefer to wear black?